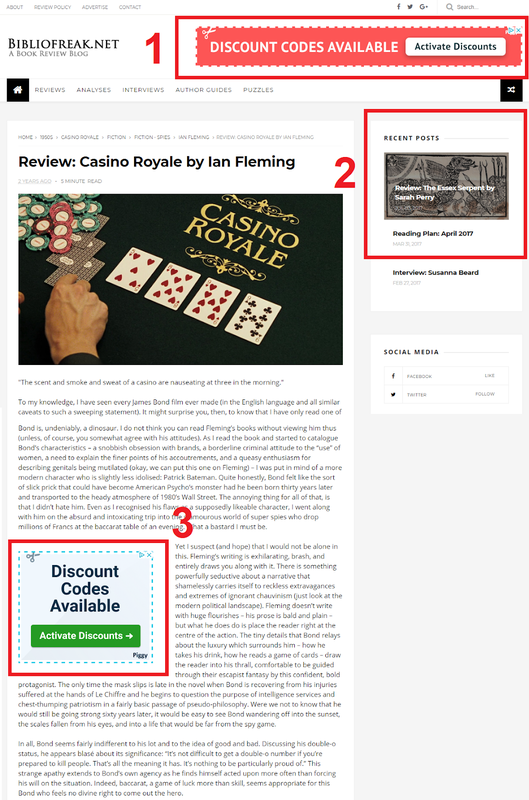 There are currently three advertising slots available on Bibliofreak.net which can be booked for advertising. Please find details below. If you would like to book any of the slots, or find out more, get in touch at bibliofreakblog@gmail.com. Please note, all adverts are subject to approval. These are awesome opportunities for both businesses and New York advertising agencies. More power to your blog.